One of the things I appreciate about this book is its format: set out in sections, it gives readers the option of turning to specific areas that interest them most. This is crucial for those in abusive situations, whose ability to take in too much information has been damaged through long-term harassment. As readers scan through the first pages, they can easily select the sections most relevant to their circumstances. Another attribute of the book is its theme, noted prominently in the title of this book—Is It My Fault? Over and over again, the authors provide readers with numerous opportunities to embrace the truth that victims are not at fault for their own abuse. The recurring words “It is not your fault” must surely be a continual encouragement as a person gains healing and progresses through the book. If there was any criticism of the book it would be that it covers too much material. Thankfully, at the beginning, the authors invite readers to go directly to those sections of most concern, recognizing that they may need to pick and choose which portions are of greatest interest saving the other content for another time as needs arise. The extreme thoroughness of the book is noted in the explanatory commentary and supplemented by relevant statistical data. The scientific data is complemented by a spiritual perspective, also a pivotal theme throughout the book, namely “grace” set in contrast with “dis-grace.” Both are extremely helpful to people who have experienced feelings of shame and failure as a result of abuse. The authors are well qualified to speak to the situation of domestic abuse, both from a practical and spiritual standpoint. The book is organized to offer both down-to-earth suggestions and theological insights. The devotional section on the Psalms is exceptionally well done as it invites victims of abuse to identify with not only the sufferings expressed freely by the Psalmist, but also God’s redemption in the midst of their pain and abuse. It should be noted that while the authors quote many CBE authors and a feminist theologian, they also cite Wayne Grudem in the chapter, “What Does the Bible Say about Women?” Readers should be aware that Grudem believes that women and men are equal in value before God, but women are limited in the ways they may lead in the family, church, and world. 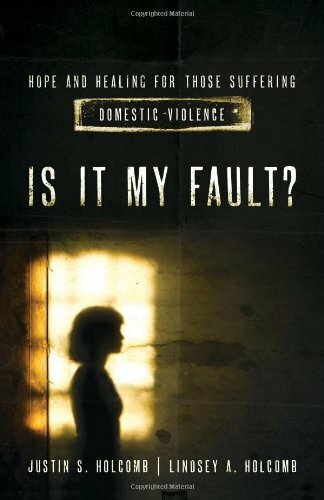 There are many excellent books on the topic of domestic abuse, but this is one of the more practical ones that I have read. Included in its helpful resources is a detailed plan or “exit strategy” for the abuse “victim” who has decided she must leave the situation for the well-being of herself and any children involved. It also offers a section explaining how abuse in the home affects children, providing another point of reasoning as to why the best option might be to plan to leave. Throughout the book, the authors emphasize that abusive situations are not magically resolved, but offer biblical and wise practical counsel on how to proceed and why. Any person who reads this book will be greatly helped to sort through their emotions and be strengthened for path that lies ahead.